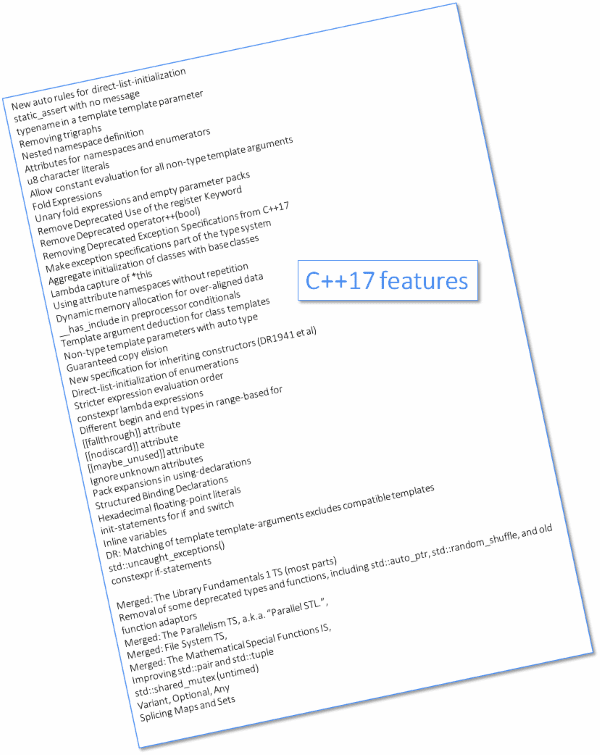 How do you see the new C++ standard? Is it ok? Great? Meh? Last week, after a few years of break, I presented my new talk that addressed the above question! It happened at the Cracow C++ Local Group. Have a look what’s inside this talk. I am not sure if that’s the best order, but at least it groups things together. 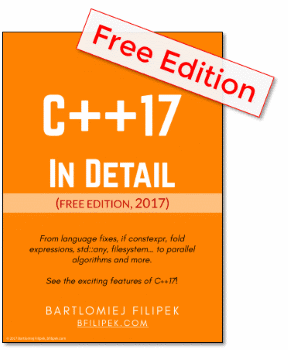 Ok… so what’s the answer to that C++17 awesomeness question? In my opinion, it’s a very decent standard. We got a lot of powerful features (like fold expressions, constexpr if, template argument deduction for class templates, filesystem, parallel STL, …). There’s always a desire to have more, but that couldn’t happen due to the new standardization process. Every three years we’ll get a new version. While C++17 is “smaller” than C++11, it’s shipped faster (3 years) rather than 13 years! So we cannot forget about this.